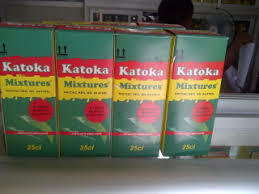 Katoka Mixtures is used to eliminate symptoms of Fever, Malaria, Headache and bacterial infections. Take Katoka Mixtures daily as prescribed for faster improvement of your health. you can take Katoka Mixtures even when you are not sick so as to clean your stomach from unwanted substances, with that been said prevention is better than cure. start taking Katoka Mixtures today to prevent you from getting sick easily.